Local health workers and people who serve directly (front-line workers) in high risk Ebola area outbreaks will start working under safety conditions, following a cabinet meeting approval for their Ebola vaccination. Dubbed “recombinant vesicular stomatitis virus vaccination” (“rVSV-ZEBOV”) –an experimental vaccine for protection against Ebola virus disease was approved by the a cabinet meeting chaired by President Paul Kagame on April 4. Before the cabinet meeting approval, Dr. Diane Gashumba, Minister of health had informed the Cabinet that in a bid to ensure full implementation of Ebola prevention and control, vaccinating local health-care and front-line workers using “rVSV-ZEBOV” was crucial. 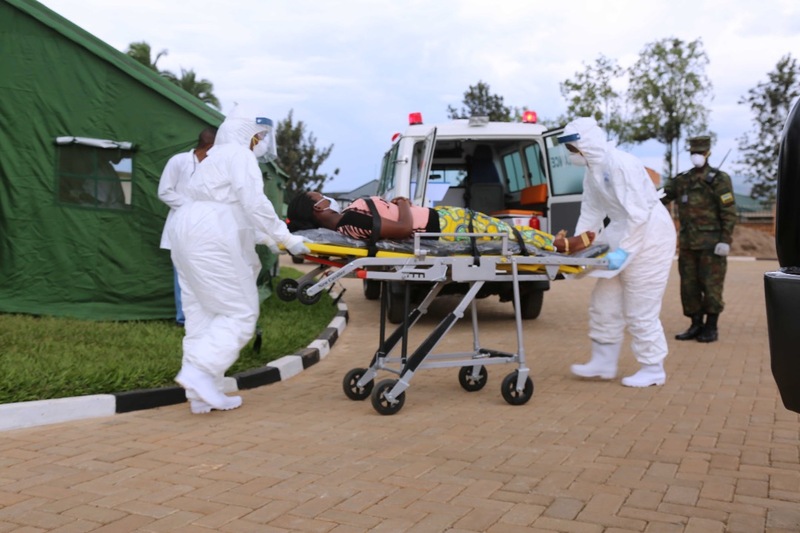 For several years now, Rwanda has been threatened by imending Ebola outbreak from neighbouring countries including Democratic Republic of Congo (DRC) and Uganda. In response to the outbreak, the country established strong safety measures including simulation exercises across several prone districts of the country. Speaking at a Health Security Roundtable in Munich, Germany in February this year, President Paul Kagame said that in response to Ebola outbreak in DRC, Rwanda updated its preparedness plan,with readiness rising from 55% to 84% from May 2018 to January 2019. The cabinet meeting approved a bid by Ministry of Health to kick off vaccination of health-care and front-line workers on Friday April 5. The vaccination will be conducted through partnership with World Health Organisation (WHO), according to the cabinet resolution. So far, three health facilities are equipped to receive and treat any Ebola case that could emerge in the country. They include; Nyarushishi and Rugerero health posts in Western province and Gatsata health center in the capital Kigali. Currently, Rwanda has 60,000 trained community health workers that are deployed around the country in case of outbreaks such as Ebola and other priority diseases like Cholera, Bloody diarrhea, Epidemic typhus, Meningitis; Plague; Typhoid fever, Rabies, Viral hemorrhagic fever and Yellow fever. Since 2014, Rwanda’s health sector budget has increased from Rwf157.5 billion to Rwf193.6 billion last year – reflecting an increase of 22.9%. Meanwhile, the Ministry of health has not communicated the cost of vaccinating interested Health and front-line workers working.